A percentage of this print design purchase will go directly to Brynie. Graphic Designer, aspiring Fashion Designer and freelance Photographer from Melbourne, Australia. The streets of Melbourne, unique fashion and the people that surround me influence my design style. 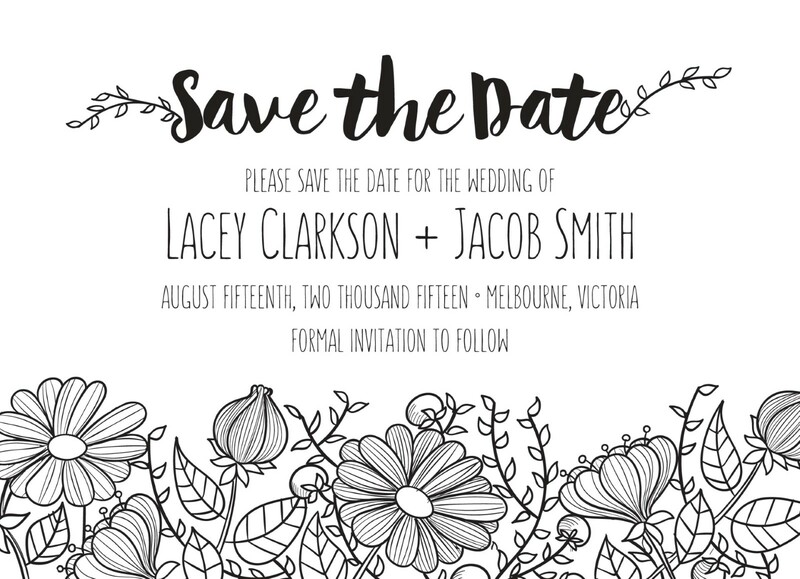 This save the date card is from the playful wedding invitation set, 'Daisy Chain' by designer Brynie Ladds. 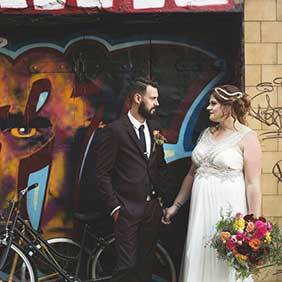 The hand drawn botanical design is perfect for an outdoor wedding. This design is available as a digital print only. When I first saw this save the date card, I didn’t even know where to look. It is filled with amazing details. 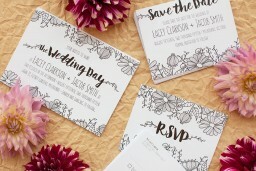 I love the beautiful combination of floral design with the nice stylized fonts on it. I appreciate that the designer only used black and white for this card, as it gives a classy note to it.